The random number generator (RNG) board game in which you fight (and roll) your way to victory by battling your enemies ( and friends). Do you like Mario Party? No, of course you don’t! Wait…yes you do! Even if your friendships get ruined, your love for the game still burns brightly. Allow me to introduce you to 100% Orange Juice! A rage-inducing yet fun and exciting board game where a little RNG (that is, random number generator) and a nice deck of cards can get you far. With a lot of different characters and cards to choose from, each person can personalize their strategy to help them to come out on top and achieve victory! 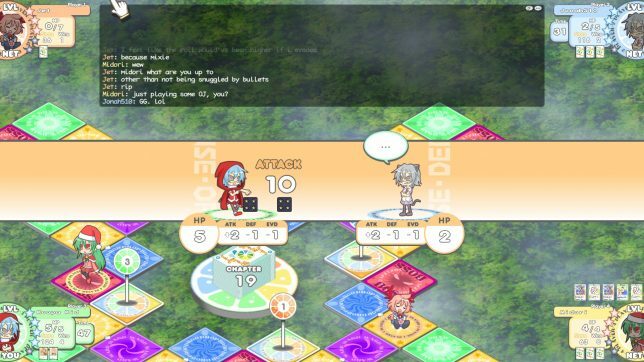 This anime-style board game has a lot to offer its player. There’s a nice story mode where you follow the adventures of Orange_Juice’s characters (Orange_Juice the developer, not the game) from other games they’ve made, such as Acceleration of Suguri and Sora. There’s a single-player mode if you feel antisocial but still want to play a game where you battle against the computers in a fight to the death! OK, not to the death but…ya know. Feeling social and feel like drinking some salty tears? Then hop into a multiplayer lobby and join in the pain er…fun! Now, now I know what you’re thinking. “Hey! What’s the story like?” Well, let me tell you! There’s not too much to the story—you can choose from three difficulties: casual, normal, extreme. Also, there are four different stories where we can follow a different protagonist: Kai, Suguri, Marc, QP. In each story, Poppo, a tricky little antagonist, steals an item from each of our heroes. Each protagonist then chases after Poppo, meeting friends along the way who get entangled in the mess. After completing the stories, you find out who the real villain is: a magical girl named Tomomo. After this discovery, you then engage her in a battle of RNG to defeat her. Once each story is completed, you can unlock Extra Scenarios in case you just couldn’t get enough RNG. Alright, alright; now I know what you want me to do. You want me to talk about the game. You got it, readers! The name of the game is to achieve five normas. A norma is a condition. For example, norma one is to get 10 stars. 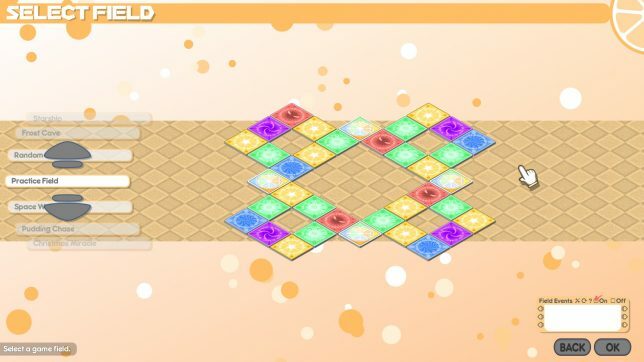 To complete it, collect 10 stars, land on a home and you will go to norma two where you can choose to get 30 stars or 2 wins. Each option has its drawbacks! You can’t lose wins like you can stars, but wins are harder to get. Now, let’s talk about the board. The board has a bunch of tiles on it. Yellow tiles make you gain stars, dark blue ones make you lose stars, light blue ones make you roll another die, red ones make you battle a mob, purple ones make you warp, and green ones let you draw a card. The layout of the map Practice Field. Cards cost stars to be played and can be used once you’ve achieved a certain norma. 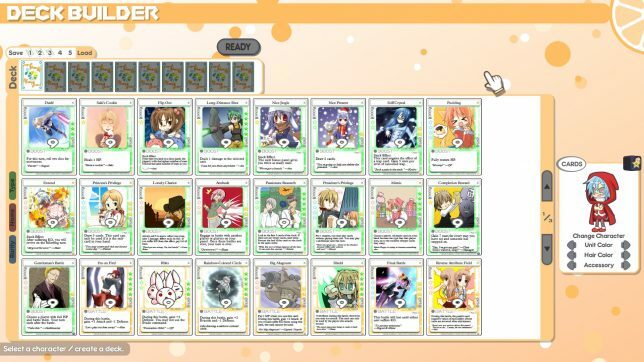 Each is displayed on the sides of the cards. Cards can help aid you in battle, help you on your way, booby trap your enemies, or mess with your friends. There are field events too which affect all players. For example, the field event Regeneration allows each player to gain 1 HP. Making part of the deck before the start of the game. Now let’s talk characters and battle! Each character has their own stats, if you will. There are a combination of five things: Attack, Defense, Evade, HP, and Revive Value. Each character might have a different combination of these stats. Each character has their own special card called a “hyper” that is unique to them which can help them achieve victory. Pick a character that suits your playstyle! The author in the midst of battle attacking their opponent with a formidable attack. Let me just say that I love this game. I started playing this game in the summer of 2015 and have been playing ever since. In total, I’ve played 771 hours and that number will only continue to increase. I am well known in the community, I have made a lot of awesome friends, and I have had many fond memories playing the game. The developers are super involved in the community and the game gets lots of updates. I’ve played it so much because I feel like every time I play with a different combination of people, it makes the game a new experience. Each person brings something new to the board, whether it be strategy or banter. Even after playing this game for so many hours, I still get excited when I get back in the game and start playing. More than just that, what I love about this game is the replayability, the music, the online community (mostly good people with some bad—but hey, there’s no such thing as an all-good community), and all the fun that this game has to offer. 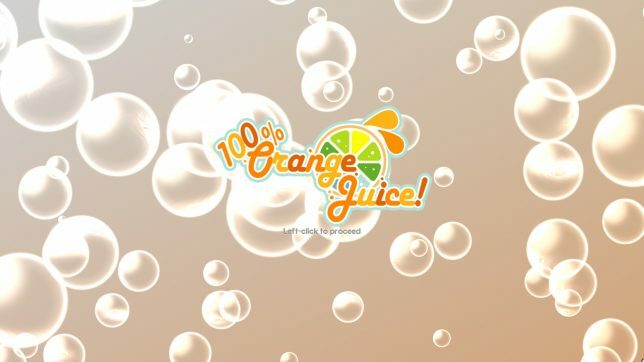 I recommend 100% Orange Juice to anyone who likes board game-style games, to people who like anime-styled games, to people who like RNG-based games, or to people who like games where the gameplay is pretty laid back. I’ll see you on the boards—later, readers! How did this game get in my Steam? And why is it so endearing? GameCola’s Next Family Game Night?